RabelTouch from SwitchEasy is an iPod touch 2G case for made from unique mix material with ultra hybrid design. 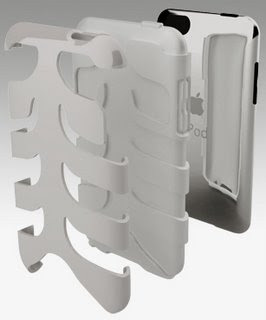 It features an inner layer made of ADSP (Adaptive Dynamic Soft Polymer), a material which is stronger and more UV resistant than silicone, yet soft enough to protect the finish of the iPod touch 2G. Outside the ADSP shell, there's another layer of Lexan polycarbonate "UltraFrame" attached to it. The RebelTouch case also comes with two anti-static screen guards, tactile covers for the device’s buttons, a video dock stand, a Universal Dock Adapter, a Dock Connector protector, a microfiber cleaning wipe, a 3.5mm headphone adapter, and a video dock stand. Currently there are 2 colors available: white and black. The SwitchEasy RebelTouch for iPod touch 2G is now available for $24.99. Noreve Tradition leather case for iPod Touch 2G is made from handcrafted leather. The features for this case includes: a padded design, open access to all ports and controls, a flip-down integrated screen cover with snap closure, an interior business or credit card slot, and a removable swiveling metal belt clip. 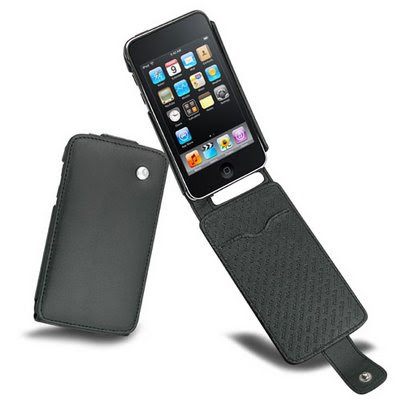 The Noreve leather ipod touch 2g case is now available for $55.17, and there are 12 colors available!